Well, the time has come again to move an item along. In my business, I always end up with new items, and I just don't have room for everything I acquire - so I have to pick and choose what best represents my personal interests. 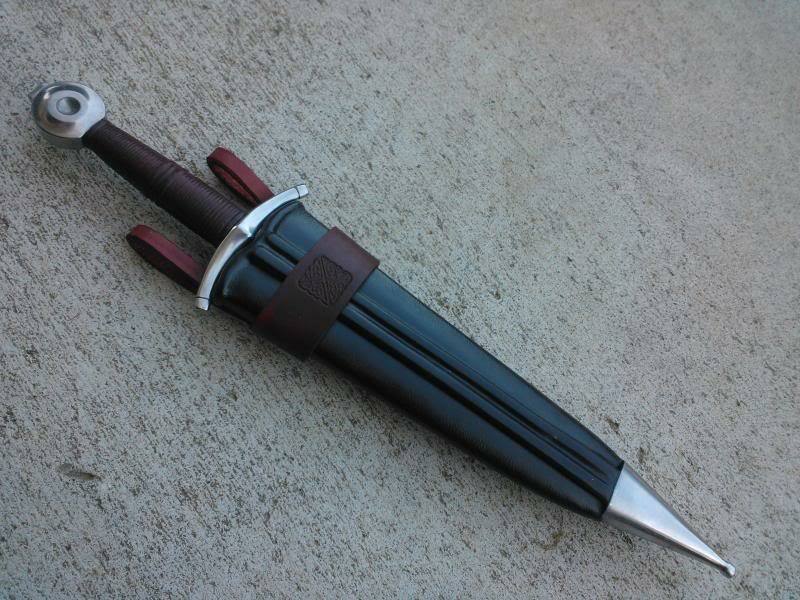 This is an original John Lundemo / Odinblade dagger. The original list price on this was $500 a few years back. It is a wide-bladed Cinquedea type design with double fullers, lending itself to be a very effective cutting/slashing blade. It has a Type J pommel with a small recess and a well-executed peen block. The guard is a stylized Type 6. 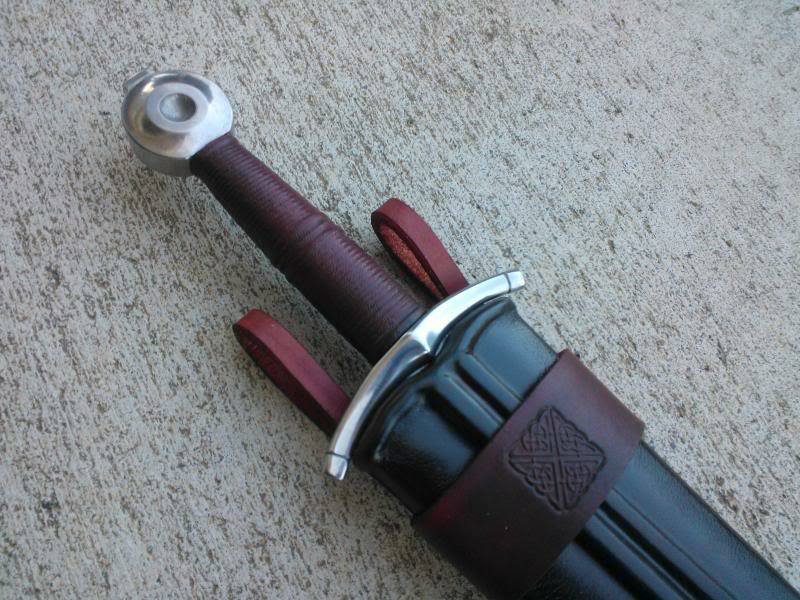 The scabbard is a Crusader Monk one, with a black leather cover over oversized risers to match the fullers, a steel chape, and a two loop belt antique oxblood frog bearing a Celtic square detail. The retail value on this set-up is right at $200. 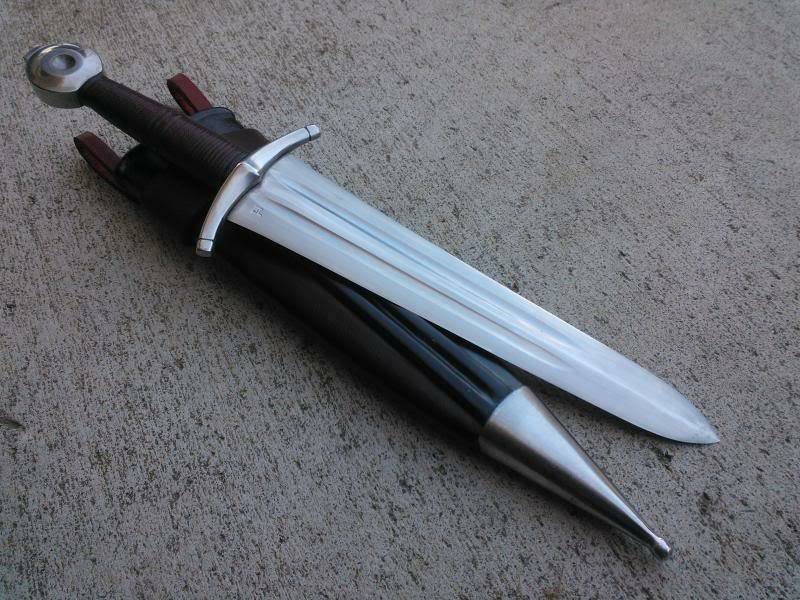 The scabbard is intentionally oversized a bit to give the appearance of a small sword, such as the Westernesse daggers recovered by the hobbits from the barrows in Lord of the Rings novels. 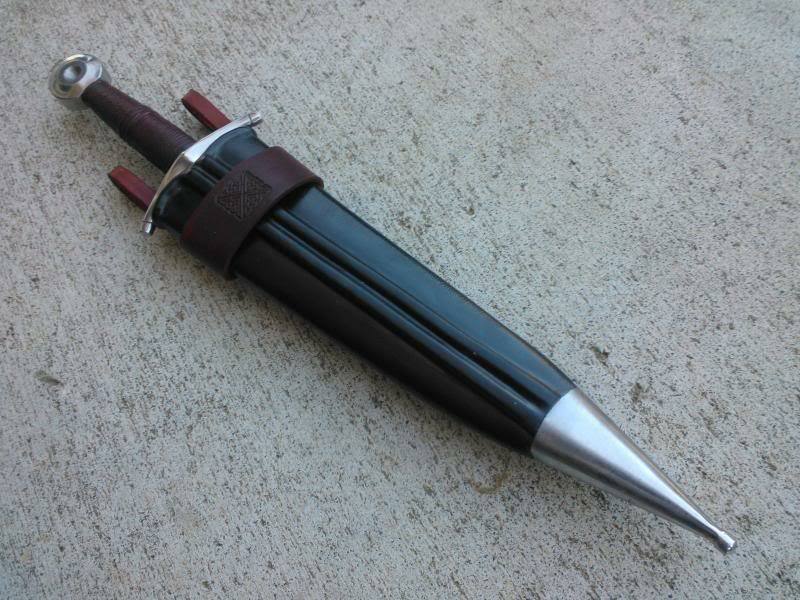 This dagger would look great in any application, as well as function as an awesome companion to an Albion Sovereign or ATrim double-fullered war sword. Altogether, this package is about $700 in retail value. In tune with it's theme, I will give it a halfling price of $350 shipped CONUS. This will not last long, so please PM me if you are interested! SEVEN HELLS!!!!!! i wish i could get my hands on that piece of work! That's a very good deal, but sadly, it's not for me. How wide is that blade? The dagger has been sold. Thank you for viewing!